Let’s talk about my all time favorite topic ever: my routine! I can go on and on about my routine, and probably will never get tired of talking about it. My routine is my baby, I’ve taken care of it and nurtured it to fit me. My sister has a painting in her home that says: “Do one thing a day that makes you happy”, and for me, doing my morning and night routine makes me happy. I think it’s a positive way to start my day before work, and it’s a relaxing way to unwind and feel refreshed at the end of the day. Why did I create a routine? I used to do the absolute bare minimum when it came to skincare, I was a drugstore brand cleanser and moisturizer girl all the way. I would get compliments on my complexion, so I would think to myself “I’m good” and believed I didn’t need to do anything extra. I would indulge in the occasional face mask to be ~fancy~ on Sunday nights but I wasn’t too serious about it. I totally thought that having a skincare routine was something that only older women needed to have. Basically, I believed my youthful, early twenties skin would last a lifetime and I didn’t need to do anything to keep it that way, it was just going to magically stay in place. Then reality hit: I had just graduated college, was working at my first post-college job and one day I realized I looked a lot older, old enough that I stopped getting carded for a while. There were a bunch of factors that affected my skin - I wasn’t getting enough sleep or drinking enough water and I was working a little too much, but the lack of proper skin care was evident. Just looking at pictures from the previous year, the difference was striking. One day I decided that I needed to step it up for myself, so I tried out the K-Beauty line Sephora launched to get started. Fortunately, I’ve been blessed with normal skin, I don’t have a lot of skin issues to deal with. I’m not sensitive to a lot of products -I could probably count on one hand what products I’m sensitive to- and other than the odd pimple, I don’t experience breakouts. My only complaint is that I have semi-visible pores, but I’ve grown to accept them for what they are but I do use products that keep them in check and minimize their appearance. My focus for my overall routine is having a clear complexion and bright skin. A lot of my favorite products focus on brightening and moisturizing. When my skin feels like it needs a little extra something, I will do some sort of targeted treatment. Before we begin, I want to clarify that I am not an esthetician. While I am very enthusiastic about skincare, I am not licensed in any way. I do a ton of research about the products I put on my face and am more than happy to talk about my experience with products, but please remember that everyone’s skin is different. What works for me may not work well with your skin. I encourage everyone to try out new products, the K-Beauty world is your oyster, but be sure to do your research before putting anything on your skin. Also, please don’t try a ton of new products at the same time, that way if your skin doesn’t react well to a product, you know exactly who the culprit was. It’s very easy to get excited and start lathering a whole bunch of different products on your face at the same time, but remember that your skin is like a delicate flower and should be treated with a lot of care. For clarity, I marked the frequency with which I do each step; not all the steps are part of my daily routine, some I do 2-3x a week, or whenever I feel like my skin needs an extra boost. I used to be very skeptical about oil cleansing - I thought the idea of cleaning your face with oil was counter intuitive and would make your face dirtier instead of cleaner. Now, if I don’t double cleanse I feel like my skin isn’t clean enough. Oil cleansers break down dirt and natural oils that your skin produces throughout the day and night more effectively than just using water based cleansers. 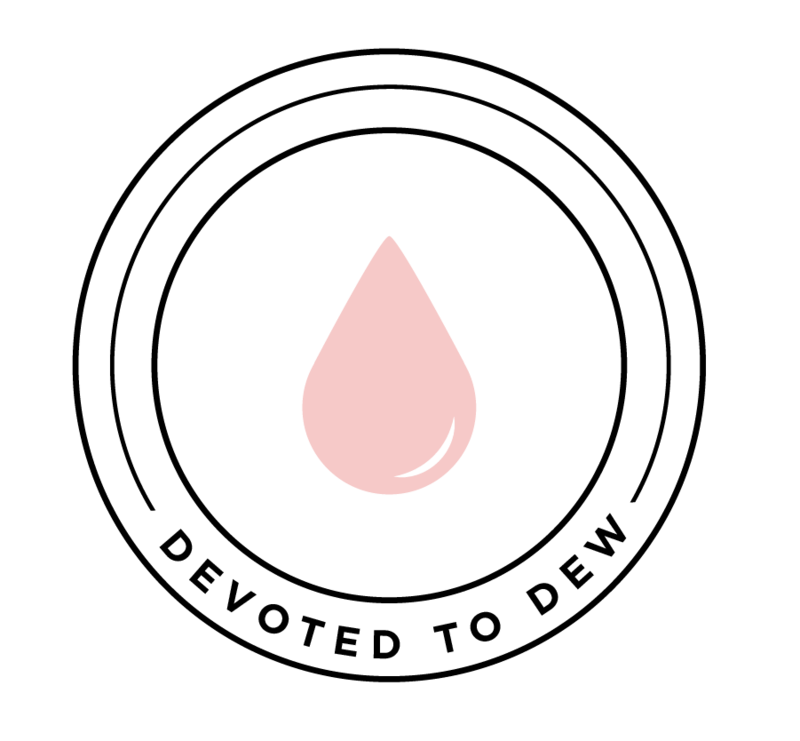 An oil cleanser is literally an oil (liquid or solid) that you massage into your face. Massaging the oil into my skin every morning and night is an awesome way to reduce puffiness, and just make the muscles in your face feel good. I switch between The Face Shop Rice Water Bright Light Cleansing Oil and the Banila Co Clean It Zero Classic. I love both products, but the Clean It Zero Classic is a solid oil cleanser so if I’m in a hurry, I use the Rice Water Bright Light Cleansing Oil. If you use makeup, especially eye makeup, (i.e. mascara, eyeliner, eyeshadow, etc.) make sure to use an oil based makeup remover before using the oil cleanser. While effective, an oil cleanser won’t remove all the makeup on your face, and it will leave some traces behind. Now, make sure to not attack your face with a remover soaked cotton swab! Gently remove your makeup, because scrubbing your face forcefully can cause wrinkles. The second step of double cleansing is using a good foam cleanser. Foam cleansing will make your face feel so clean and refreshed. A good cleanser should neither dry your face out nor feel too harsh. If your skin feels tight and too clean, it’s probably not for you. If your skin feels like it will crack if you smile, try a different cleanser. I’ve tried a few different cleansers, and I’m always open to switching it up a bit but my favorites are The Face Shop Rice Water Bright Cleansing Foam, Belif Creamy Cleansing Foam Moist and the Goodal Phytowash Yerba Mate Cleansing Foam. All of these create a good lather, so a little goes a long way. I used to be a proud user exclusively of scrub cleansers, I thought scrubbing my face vigorously was the only way to properly clean my face. Exfoliating is good for your skin because it removes dead skin cells and clean your pores, but it should not be done recklessly. Doing so can irritate your skin and cause blemishes. It also shouldn’t be done if you’re having a breakout, this can just make it worse because you can spread the germs around your face. Personally, I exfoliate 2-3 times a week using Skinfood Black Sugar Mask Wash Off. The sugar exfoliates your skin super well, but it’s gentle enough that you can use it multiple times a week without worrying about over exfoliating. I used to think toner was dispensable, and not an important product to use in your routine. I thought that toners were for acne prone skin, so I didn’t need one. After switching to a K-Beauty routine, I’ve learned that toner is one of the most important steps of your routine and should not be skipped. Basically, a toner will help your skin absorb all the additional products that you apply instead of the products just sitting on the surface of your skin. Think of it as primer for the rest of your routine. It balances out your skin after cleansing so that your skin can properly absorb the rest of the products you will add. My current favorite is the MISSHA Super Aqua Pore-Kling Toner. What attracted me to this toner is that it focuses on brightening and firming your skin, and it removes any remaining impurities on your skin after double cleansing. I’m also a fan of the Belif Bergamot Herbal Extract Toner, which is the first toner I ever tried. Until I got in K-Beauty, I had no idea what an essence was. Once I learned about them, it took me a while to add one into my routine. I was a bit hesitant about trying one- I think it was my last futile attempt of resistance before going in deeper into the K-Beauty black hole. Jane highly encouraged me to try one, and I am so glad I did. Essence is basically a toner and a serum’s love child, and it does wonders to repair skin damage. It’s a targeted treatment, but lighter than a serum so it’s not as concentrated. 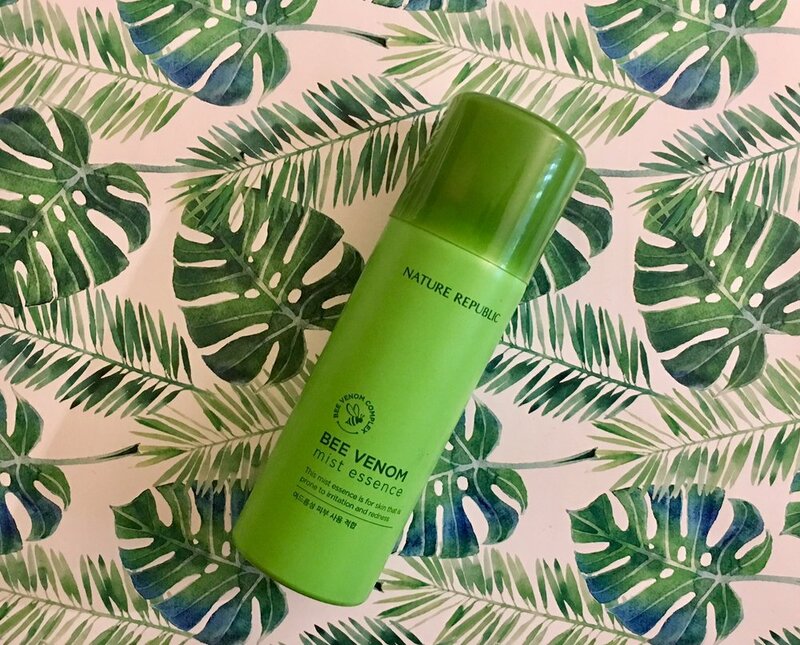 Right now, I am currently using the Nature Republic Bee Venom Mist Essence. This essence is so great because it’s a mist so you can easily spray it on and go! (hint, hint lazy girls...ahem Jane). The first thing I wanted to try when I started my routine was a serum. I had heard awesome things from people that used serum, and I just had to add one. However, because serums are very concentrated targeted treatments I did a lot of research and comparisons before deciding which one to buy. I wanted to make sure I found the best one for my skin that would help me achieve my skin goals but I wanted to be careful because these products are very strong. After a lot of research and A LOT of encouragement from Jane, I decided on Charlotte Cho’s own Triple C Lightening Serum, a product she created in collaboration with COSRX. It’s a Vitamin C serum that focuses on brightening your skin. I can’t make this up, I actually saw a difference after one day of incorporating this product into my routine- I noticed my complexion become a lot clearer and my skin felt smoother. Be warned: this serum sells out fairly quickly because it’s made in limited quantities and shipped directly from Korea. Be on the lookout for restocks! You can sign up on SOKOGLAM for restock emails. I cannot begin to describe how much I love face masks, whether it’s a sheet mask or a wash off mask, I love them all. I literally have an entire box that is just filled with sheets and wash off masks. Sheet masks are a great way to give your skin a quick boost with maximum results. They also give you an excuse to sit down for 20-30 minutes and just relax (my roommates always knew to not disturb me when they saw a sheet mask on my face). Wash off masks take a little bit more work because you actually have to wash off the mask, but they’re just as effective as sheet masks. I switch back and forth between face sheets and wash off masks. I find the act of applying and removing wash off masks to be very soothing, and it’s part of the appeal to me. Basically, when deciding between a sheet and a wash off mask, it comes down to what you prefer: if you want something quick that you don’t need to wash off try a sheet mask and if you like the extra steps of applying and washing off a mask, try a wash off mask (or try both). I have a kind of funny story regarding eye cream. Early twenties Elizabeth thought that eye cream was something you had to start using when you were older and needed a miracle. When I started looking into a K-Beauty routine, I basically ignored this step thinking that it didn’t apply to me. Then one day at Sephora, the sales girl that was helping me out hands me an eye cream sample and says “you want to try this, trust me, I love it”. I’m still not sure how to take that moment. I now understand that eye cream should be used before you actually need it. It’s all about prevention, an eye cream isn’t a miracle cream that will magically undo years of damage on your skin. The skin around your eyes is very delicate, and is more prone to wrinkles from laughing or smiling. Eye cream helps by keeping the skin around your eyes hydrated. I apply eye cream in the morning and at night. Pat the eye cream onto the area around your eyes (be careful to avoid your waterline!). Don’t rub the cream, the tugging can cause wrinkles later on. The only eye cream I’ve tried so far is the MISSHA Misa Cho Bo Yang Eye Cream. The ginseng and gold in this cream are meant to brighten your eyes! I really like this product because it goes on kind of thick and a little goes a long way. There’s probably nothing I dislike more than my skin feeling tight and dry. It’s just a very uncomfortable feeling, and I have a very low tolerance for it so keeping my skin hydrated is very important to me. I place a lot of importance in the moisturizers I choose because moisturizers play a huge role in protecting your skin against the environment. The environment you move around in on the daily can make your skin more susceptible to wrinkles and breakouts. Using a good moisturizer will keep your skin healthy and firm by keeping it hydrated. There’s a ton of different moisturizers to choose from, there’s lotions, creams, gel creams and oils. Personally, I prefer lotions and creams over gel creams (but I have used gel creams). From my experience, I have found lotions and creams to be more effective and absorb better with normal skin. I swear by the Belif True Cream Moisturizing Bomb, it was one of the first products I tried and I have had a very good experience with it. It’s very light and it smells so fresh, it instantly makes your skin feel a lot more hydrated. My skin felt so much better after only using it once. My second favorite is the COSRX Oil-Free Ultra Moisturizing Lotion. It’s also very light, and doesn’t leave any greasy residue. I really like this moisturizer because it absorbs very quickly, so if you’re in a hurry this is a great product. For a long time, I thought I was above sunscreen. My mom would bug me to put some on, but I never got sunburnt so I was good right? I didn’t need it. I “compromised’ with her by using an Olay face lotion that had 15 SPF and thought I deserved a medal for it. However, once I switched over to a K-Beauty routine and learned the importance of sunscreen, I now carry a bottle with me at all times and reapply every few hours. The sun will accelerate aging, wrinkles, hyperpigmentation and will increase your risk of skin cancer. Sunscreen is a must, even if you’re going to be indoors all day or even if it’s cloudy. I used to skip it if it was cloudy or just going to be in the office all day, but even walking from my car to my office exposes your skin to the sun’s damage. It’s very important to choose a sunscreen that protects against both UVA and UVB rays, these are labeled as “broad spectrum protection”. Sunscreen is truly indispensable, and it’s best that you start incorporating it into your routine as soon as possible. Unlike Western sunscreens, Asian sunscreens are very smooth, light, smell awesome and are not greasy at all. I think this is why it’s pretty easy to incorporate sunscreen into your routine. I switch back and forth between the MISSHA All Around Safe Block Sebum Zero Sun SPF 50+/PA+++ and The Face Shop Natural Sun Eco Power Long-Lasting Sun Cream SPF50+ PA+++. Neither one of these leaves behind any white residue, they’re not greasy and they’re long lasting. The only difference is that the MISSHA sunscreen is slightly more scented, so if you’re sensitive to fragrance this might not be the product for you. Remember, even if the sunscreen you’re using is long lasting or waterproof, make sure to reapply frequently.